1. 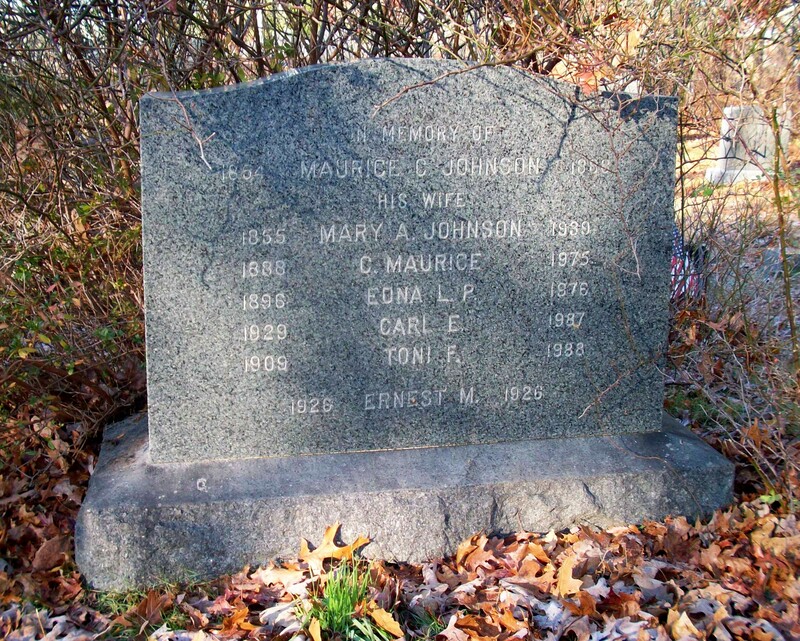 Carl Maurice Johnson; (1888 – September 15, 1975); Married Edna L. Pinkert (1896 – 1976) (Ernest L. Pinkert & Bertha Wettergreen) in Bourne Ma. on September 7, 1925; Carl & Edna are buried in Pocasset Cemetery.